We have a wealth of experience in running successful PR and Marketing campaigns for clients operating across a broad range of sectors. We are able to offer a comprehensive skills base to cover a variety of your promotional needs - but we also have an extensive network of associates that we can call on if we feel your business would benefit from additional support. We enjoy immersing ourselves in both consumer and business-to-business accounts and are privileged to work with clients who have the passion, dedication and focus to make them Best in Class in their chosen fields. Whatever your marketing gaps may be, speak to us. And if we can't help, we won't waste your time - the chances are we can introduce you to someone who can. With our own in-house expertise and our excellent network of third party contacts, we can deliver 'the works'. In today's busy marketplace full of hustle, bustle and competitive jostling, it's not easy to stand out from the crowd. Our clients love doing what they do best. That often means that the business of promoting themselves is a chore that remains at the bottom of their To Do lists. Yet, PR and the multiple faces of Marketing, are the lifeblood that helps brands to thrive. Our mission is to help clients to achieve their commercial objectives by raising visibility and amplifying voice. Ensuring your messages don't get lost amongst the throng. Whether we work remotely, on your doorstep, or even in your offices, we operate in close partnership with you, to deliver workman-like campaigns with professionalism, integrity and absolute transparency. We are proud to represent businesses locally, regionally, nationally and globally. We have clients based on our doorstep here in the North West, located elsewhere in the UK, and much further afield too, in Europe, and as far away as China. We find distance no barrier to successful outcomes - we're always delighted when we can pop in and join you for meetings and coffees in your office space, but we're just as happy dealing with businesses via the connectivity of the internet, and by phone. Off the Shelf doesn't cut the mustard with us. We firmly believe you and your business are unique. Which means we only ever do Bespoke. 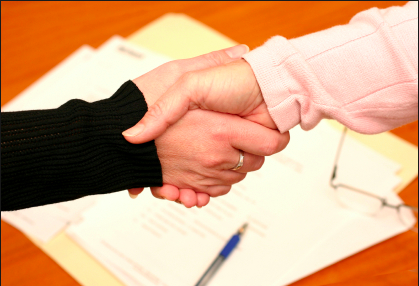 Once we've met for an initial no obligation chat, we hope to quickly get to know you and your expectations. We run a PR and Marketing MOT to see what you've been doing and what you'd like to do better. Before we commit to any ideas, we research your sector and your competition. Sometimes we also speak to your customers and other key stake holders. Occasionally, we unearth insights that may come as a surprise! Only when we have a clear and objective picture, do we move forward, working closely with you to craft each and every campaign to suit your specific aims and aspirations. Just as the market is fluid, we take a flexible approach and are always happy to amend as circumstances shift. The million dollar question always comes down to budget. But be assured, we're not a million dollar operation. We don't run expensive offices or a fleet of prestige cars. We deliver good, honest work for an affordable fee. We like it best when clients tell us upfront exactly what they can afford - and we can then tailor a package to suit. No hidden costs. No secret mark ups. Always transparent. Then we set to work. Because we only ever work with people and businesses we believe in, you'll find us genuinely engaged with what you do. Together, we will ensure your business achieves your desired results. Our clients pour their heart and souls into making their businesses a success, and so do we. Your success is our success. And hopefully, because we'll have a great working relationship, from time to time we may even drink to that!